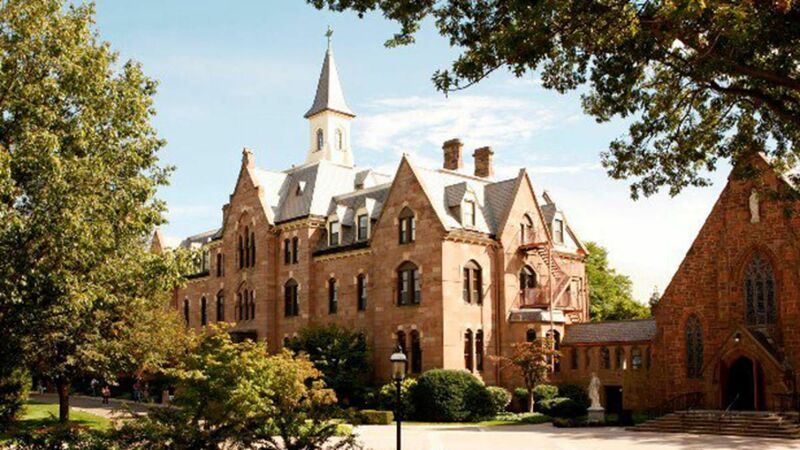 Established in 1856, the Seton Hall University is a private catholic institution located in the quaint town of South Orange, New Jersey and its nationally ranked School of Law is located in Newark. Seton Hall is one of the oldest diocesan universities in the U.S.
Seton Hall offers over 90 programs including business, communication, diplomacy and nursing in eight schools and a few graduate programs from the Stillman School of Business, School of education and School of Law, which offers an impeccable program in health care law. 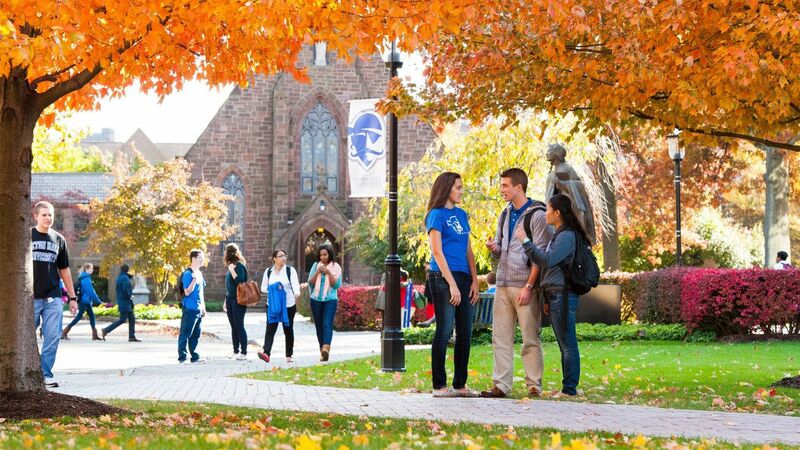 The most popular majors at Seton Hall University include: Registered Nursing/Registered Nurse; Biology/Biological Sciences; Humanities/Humanistic Studies; Finance and International Relations and Affairs. The university has a total student population of more than 9,800 students of which over 6,000 are enrolled in the undergraduate programs. The student to faculty ratio at the university is 13:1 and the acceptance rate is 67%. Seton Hall University was ranked one of the top five universities for undergraduate internships by the International Business Times. In 2010, Business Week ranked Seton Hall’s undergraduate business as the eighth best in return on investment for private universities across the nation. To enrich the learning experience, all students are given laptops during freshman orientation, as well as during their junior year. At the School of Diplomacy, students evolve from consumers of information to producers of knowledge immediately ready to contribute to a variety of fields.They Provide customizable academic program builds essential skills and helps students cultivate a deep understanding of who they are and how they can have a positive impact on the complex, interdependent world they've inherited. Private Sector,Local Government Administrator,Policy Manager. "As the professional art field has expanded vastly to include everything that is visually communicated or ""designed"", a major in Art and Design can be attained through the following tracks: Fine and Digital Arts; Graphic Design and Advertising; Interactive Design and Multimedia. " Official high school transcript, Official college transcript(s)and Counselor report and teacher recommendation, 3.4 (B+) GPA and an SAT of 1100 (old) 1170 (new). TOEFL 550 (paper-based), 213 (computer-based) or 79 (internet-based) TOEFL score or a 6.0 on the IELTS. Graphic designer, Art director, Multimedia Artist and Animator. "Imagine a program that helps you to ""think big"" and discover your purpose in life as you become rich as a person, At Immaculate Conception Seminary School of Theology, they are happy to accompany you on a transformative journey as you learn more about Jesus Christ, the Catholic Church, and your God-given talents and mission.With a B.A. in Catholic Theology from Seton Hall, you will gain a solid foundation to ""open your heart"" and prepare for a life of service to the Church and to society in fields such as medicine, law and education or through a vocation to the priesthood and religious life." Religion Instructor, Theology Teacher, Spiritual Counselor. Communication, Journalism and Mass Communication. Whether you re considering a career with the U.S. government, a multinational corporation or a business that focuses on Latino cultural and social life, the LALS major is excellent preparation. This program covers all aspects of Latin American and Latino culture from language and literature to history, immigration and politics and students develop a full, interdisciplinary understanding of LALS. You ll also master essential skills for the business world, both inside your classes and through internships and study abroad opportunities. The annual cost of living at Seton Hall University is $9685. approx.